We are a leading manufacturer and exporter of Bush Type Flexible Couplings. Fabricated from finest quality raw material, these Chain Couplings find diverse application in various industries. Leading Distributor, Importer and Exporter of Flexible shaft coupling from Mumbai. We offer high quality products which are available at market leading prices. - Safety - Still perform if elastomer fails. - Best Quality cast iron body. We manufacture quality shaft couplings that provide sturdy connection between to pipe lines or shafts. Used in washing machines. 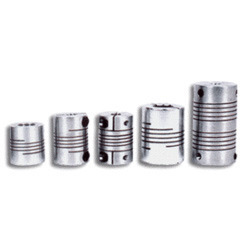 Our shaft couplings have been widely appreciated by our clients due to their effectiveness. Available in variety of specification, these shaft couplings have excellent cushioning properties. We are offering Flexible Shaft Coupling to our clients. Free standing installations especially flexibly mounted installations for main propulsion, auxiliary and power generation. We hold expertise in trading and supplying a high quality range of Couplings. Our product range is available in various grades and sizes to meet the requirements of automotive, paper & print and allied engineering industries. 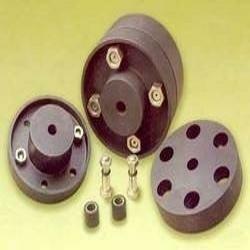 Offered assortment is fabricated using quality steel and are resistant to corrosion by our vendors.